* By download different game's save,allow user to explore new game experience. * Open platform, allow game's save sharing between user. * Easy steps of backup/upload game's save. 2.3 Plug the game cart into SaveDongle，Connect SaveDongle to PC USB port. If game cart detected, “Cart inserted!” message will be display. 2.4 Select for backup game saver to PC(saved as .sav file)，or for restore backup game saver(.sav file) from PC to game cart. 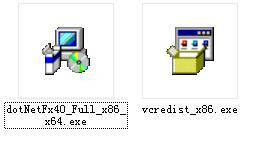 Note: Don’t run other programs when you bakcup/restore game save, it maybe cause errors. 1、Drivers（the application program environment bundles）must be downloaded and installed before running, If you didn’t installed it before. 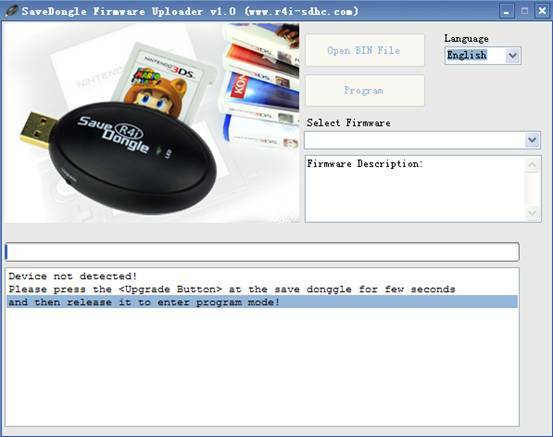 4、Plug SaveDongle into the USB port, press Upgrade button for seconds and release, the program is automatically testing, and related information will be displayed as below. Users can choose their needed version from the following list. Press “Program” and it starts updating. updating is completed after a few seconds, related information will be displayed as below.